Find hope, meaning, and purpose. Become a part of something bigger that is changing lives. Looking for a church on the Outer Banks where you can celebrate Easter? 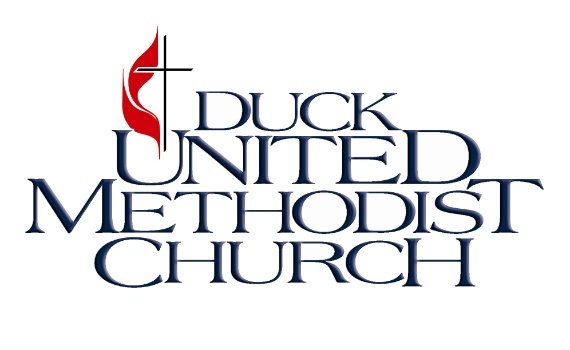 April will be one of the most inspiring months of the year at Duck United Methodist Church. If you can join us each Sunday in April, you will leave feeling uplifted. The first two Sundays will focus on Jesus’ journey to the cross. Children and families are invited to our Easter egg hunt. We will have lunch in the fellowship hall, and then the kids will hunt for eggs around our church property. On Maundy Thursday, we observe the Tenebrae and the institution of the Lord’s Supper. We'll hear the story of Jesus, straight from the Scriptures, as each candle is extinguished in darkness. This prepares us for the explosion of light and joy on Easter morning. We will have 4 services on Easter. There will be the regular schedule of services in the sanctuary (8:00 & 9:30 AM Traditional services, 11:00 AM Contemporary service), and there will also be a service in the Fellowship Hall at 9:30am (Contemporary). Pastor Amy will preach service in the fellowship hall.